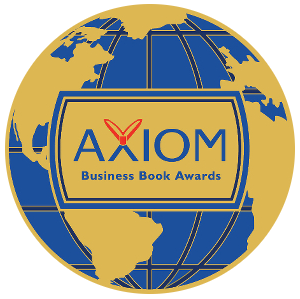 Whether to investigate a new career or to decipher your 401-K, these Axiom Business Book Award-winning books cover a breadth of subject matter and business topics to help readers learn, see, and work differently to improve their careers and businesses. The awards offer a platform for today’s leading business voices to bring knowledge and confidence to the business book reading public. We need cutting-edge, award-winning business books to educate and inform ourselves about how the financial meltdown happened, how to keep the recovery moving, and how to keep it from happening again. As it says on the Axiom Award medals, "Laurus Lego Erudito," or "Success Through Knowledge." Independent Publisher Online is published by Jenkins Group, Inc. All content is © 2019 Jenkins Group, Inc. All Rights Reserved.